that deliver real value to our customers. varnishes, adhesives, additives and wash-ups. We supply inks to meet your individual needs! Millian Inks is a leading manufacturer, distributor and supplier of specialised inks, coatings and adhesives to the South African narrow web print industry. 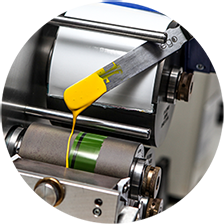 We continue to be at the forefront in the local print and packaging print industry with our extensive range of both locally manufactured and specialist, cutting-edge imported inks and coatings. 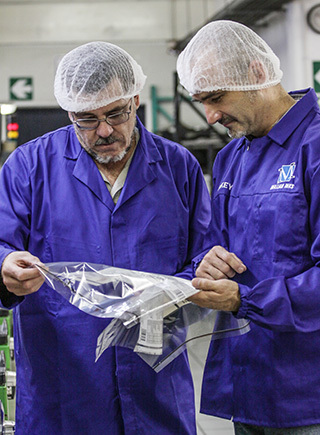 Millian Inks continues to lead the way in the understanding and supply of products suited to meeting the evolving European Legislation for Food Safety in packaging printing through our sales and support of both Cationic and Free Radical inks. 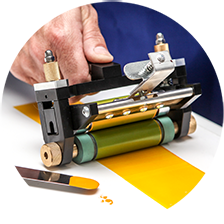 Another key differentiator is our locally formulated and manufactured UV Flexo Free Radical MilliCure Inks and our water-based Aquamill range of inks. All of our over print varnishes are designed to work in synergy with the inks we formulate. In addition to this we also supply imported low odour and low migration conventional and UV paste inks. The excellence of our products is proven by the number of times our inks are mentioned in the winning entries for the FTASA’s Print Excellence Awards over the last five years. 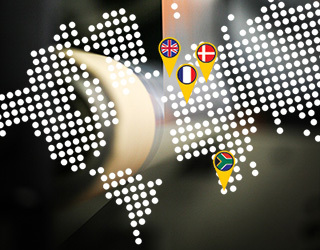 We provide specialised imported products from like-minded global partners that are leaders in their field of ink technology. Mirage places high emphasis on research and development, with an ability to develop bespoke solutions to meet specific customer requirements. Resino’s innovative approach to product development enables us to develop solutions specifically tailored to meet our customers’ needs. Zeller+Gmelin has for many decades been associated with high quality products and technical innovation. 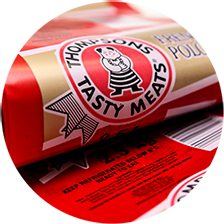 They offer solutions to meet all narrow web requirements, including the printing of self-adhesive labels, in mould-labels and flexible packaging. They are acknowledged as a market leader in low migration ink technology for the food packaging industry. 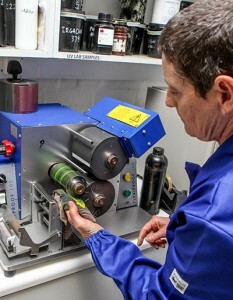 Radior’s Research and Development laboratory formulates inks on demand, which allows them to offer their customers specific products suited to their needs. What makes Millian Inks different? Our people! With over 100 years of printing and ink experience we are able to combine technology with the ability to make things happen in order to provide innovative solutions that deliver real value to our customers. Millian Inks offer quality products, excellent service, competitive pricing and market driven innovation. Our technical team have also invested five years to successfully produce special effect inks and coatings for flexo and silkscreen applications. Previously the lack of local resources and expertise made special effects too difficult and costly to produce. We work closely with designers to ensure that costs and technical capabilities are taken into account in order to get the effect desired. We are committed to providing an excellent service to our customers, and to provide effective solutions to customer and market needs. Our customers are assured of continued advice and expertise from our experienced sales representatives, technicians and support staff. We carefully pick our suppliers and equally carefully select our staff, our equipment and the products we manufacture.